Eventually the cheap XXR wheels were getting to me, and I wanted something with a little more pizzazz. Everyone seems to do Panasports, CCW’s, TE37’s/Volks/Rays Wheels type of setup. I agree they look fantastic on the car, but I was trying to be somewhat different, remain somewhat period-correct, and go against the grain. That’s when I found a craigslist ad in December of 2014 that was a game changer. Vintage pre-90’s Hyashi Racing Equipment (HRE) 3 piece 505’s. 17×13 in the rear, and 17×10.5 up front. I became so excited when I found these wheels. I had been searching for HRE-505’s for a while, and got extremely lucky finding these. A couple weeks of greyhound bus shipping, and here they are. I didn’t put much thought into this, other than I would ‘make it work’. 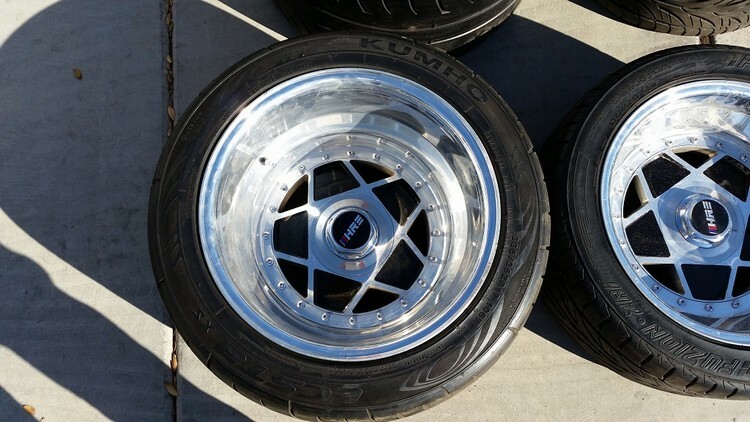 Somehow, some way, these were going on the Z. That’s what hot rodding is all about, isn’t it? So the first thing was I searched far and wide on getting the lug pattern changed. No one was willing to redrill these wheels to make a 4×114.3 fit. So I found a company on the internet, and $400 later I had a set of hubcentric wheel adapters. Unfortunately the smallest size they came in was 2″ wide. 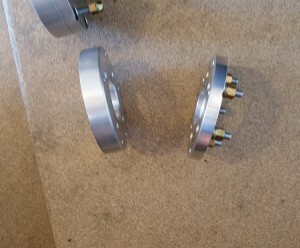 One side bolted to the hub, the other side bolted to the other half of the adapter. 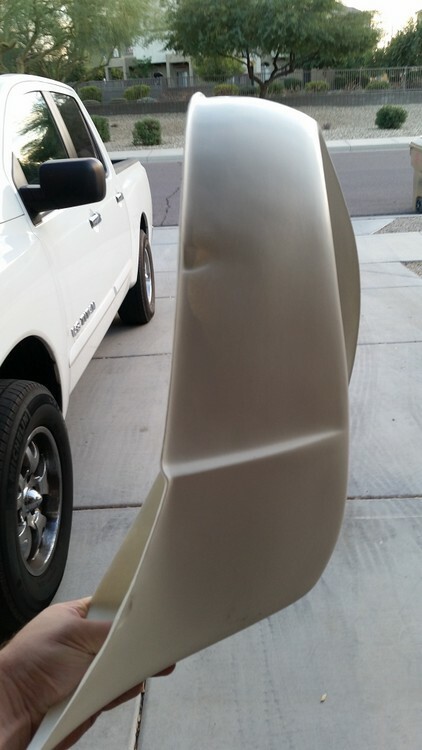 I got them mounted on the car, and I wasn’t too sure about this… this looked like it was going to be a problem. Next I went looking for the biggest flares I could find. BAMF, ZG, none were big enough. I eventually found the Marugen Shokai Works flares out of Japan. I heard they were some of the biggest flares you could get. I paid a pretty penny to get them, $650 to get them over here from Japan. The flares themselves only ran about $320 if I remember right – the rest was fees and shipping. 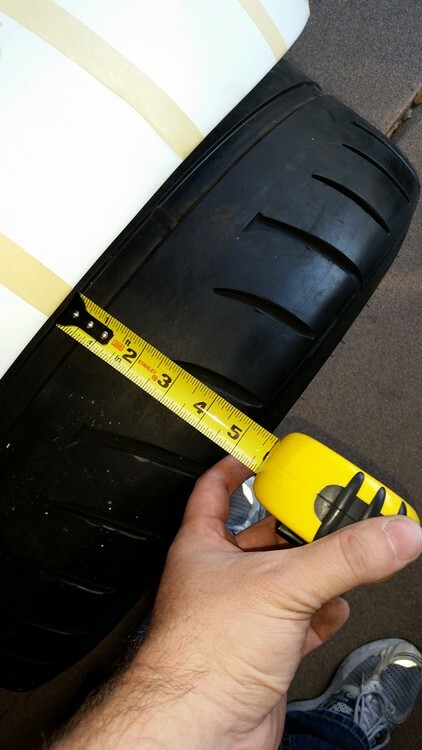 No one knew the exact width, but they were what I had to go with. Needless to say… they were not big enough. The next month or so January to February of 2015 I spent all my time and energy to rebarrel the wheels. They were 3-piece wheels after all, so that meant I could get new barrels and have the offset changed a bit to make it work under this flare. Nobody, and I mean nobody could do it. 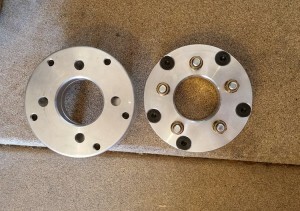 Even HRE didn’t have the tooling anymore to do these wheels – too old. That was a pretty common thing I got back from everyone, was they don’t make 3 piece wheels like this anymore (sandwich style). 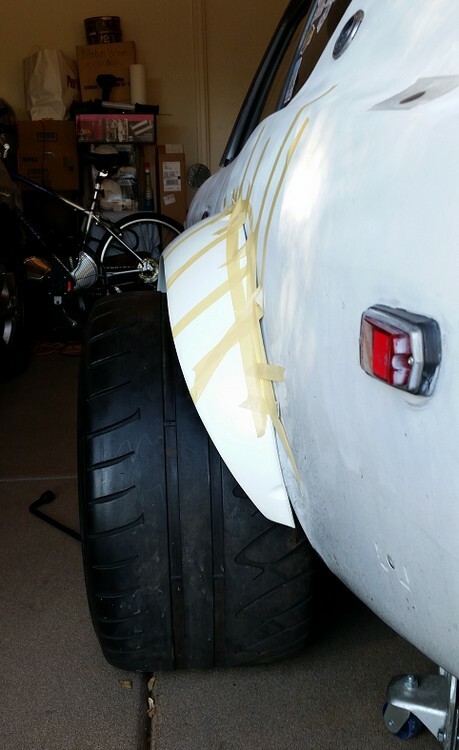 Defeated, I kept looking for a way to make this happen… I got in contact with Silvermine motors, and got their 5 lug conversion stub axles. 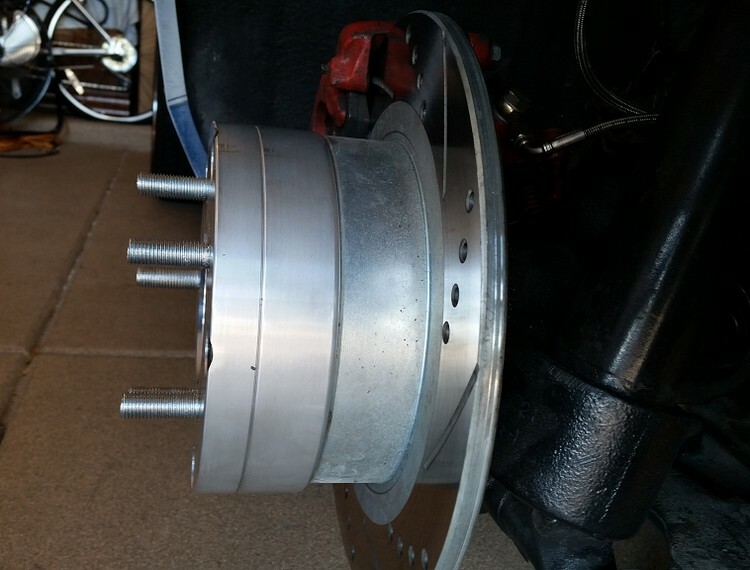 This would eliminate the 2″ of extra room taken up by the wheel adapters. 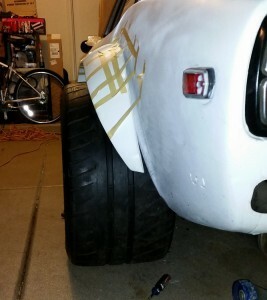 Someone also mentioned doing “flares on flares” but I just wasn’t down with that. It seemed a bit ridiculous to me in theory. 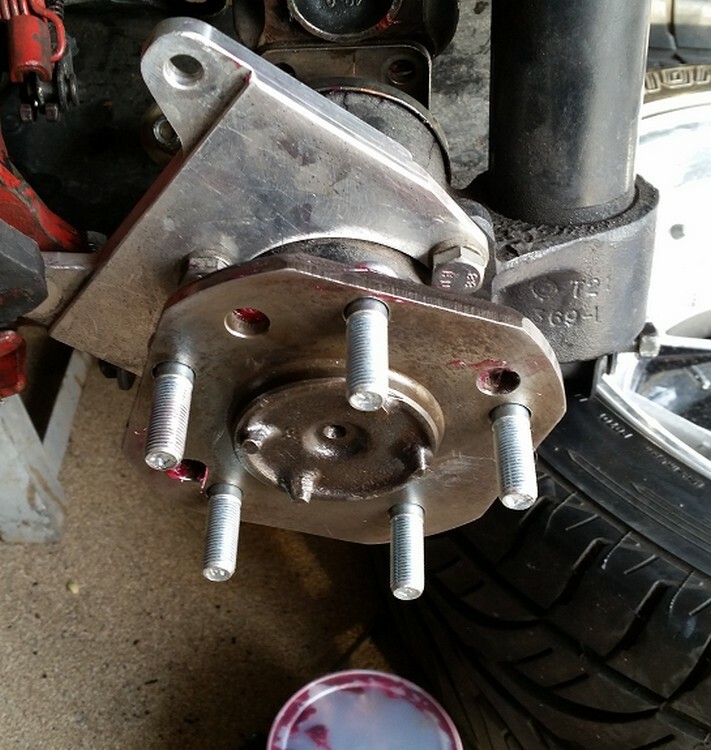 Lots of work later, and another $200 spent, I had new new 5-lug stub axles in place… But still not enough. Up next – Banzai Runner goes to a whole new level.